Monica's yoga journey began in 2009 when she started experiencing intense pain from a developing knee injury. It was then that she decided to give yoga a try, thinking that it would help stretch and promote faster healing for her knee injury and get her back into high impact sports training again. It wasn't long before she began to feel the restorative healing effect that the yoga was having on her body but more importantly she realized that there was a deeper impact to be gained from her practice than just physical. Monica was lucky to study with a few very inspiring teachers in Los Angeles (Ally Hamilton and Kate Duyn Cariati) who began to challenge her to take an introspective approach in order to gain a clearer understanding and awareness of her true motivations, strengths, and weaknesses. For the first time she began to look internally for answers and although her yoga practice was initially more of a physical outlet, the more she gave to her practice on the mat, the more she felt a sense of clarity and contentment off of the mat and in her daily life. Yoga has been confrontational, revealing and healing for Monica. She is passionate about sharing this practice with others in the hopes that she can help facilitate the same positive shift in another person's life the way her teachers and mentors have done for her. Monica's sequences are designed for all levels of yogis to achieve a sense of self-awareness, opening in the body and connection to breath through movement. She leads a well rounded class with a sense of structured-playfulness while maintaining a safe yet challenging environment. Monica also loves to incorporate fluid movement and creative transitions into her flow using her dance background as inspiration for a fresh perspective on this traditional practice. 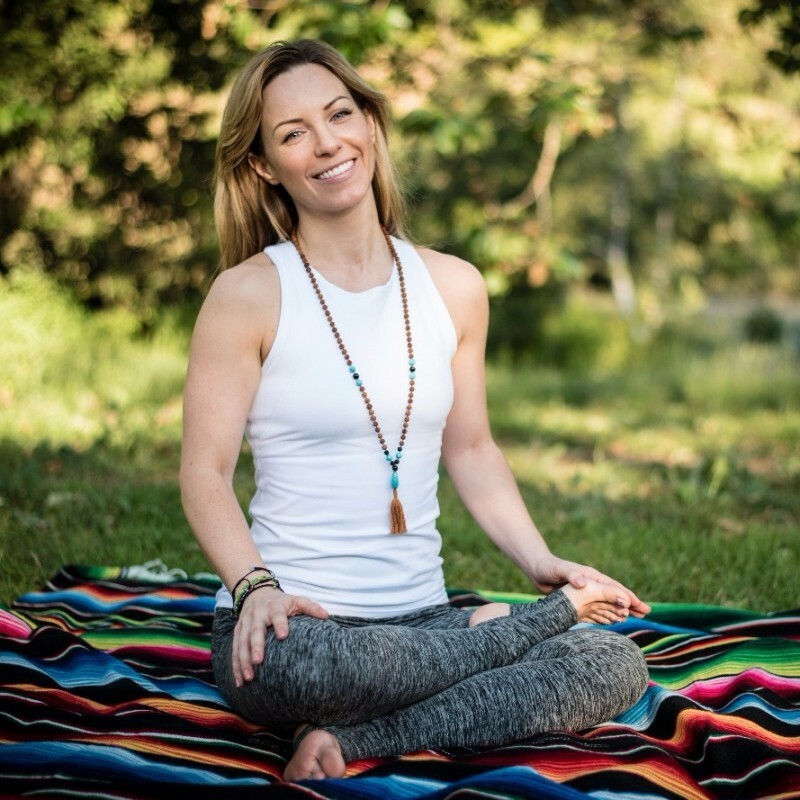 Monica received her 200 RYT Yoga Alliance Certification in 2015 from Yogis Anonymous with trainers Ally Hamilton and Kate Duyn Cariati, and completed a 50 hour Laughing Lotus Chakra Certification in 2016 with Kate Duyn Cariati, Ali Cramer and Jasmine Tarkeshi. A well-rounded class with heart opening, hip opening and a focus on core strength and breath connection. We will play with forearm stand starting from dolphin pose setting up the building blocks to Pincha Mayurasana. Challenge your limits a bit if you can but most importantly breathe and stay present so you can enjoy the benefits of the mind body connection we work on together. This is a strong flow that is suited for all levels of experienced yogis who are interested in pushing some limits while connecting to the breath and body. We will flow around the mat like a mandala changing perspective and getting out of the comfort zone of just facing forward. Of course we have a little of everything here with inversion prep and practice which is a key element I like to always incorporate into my classes. Enjoy yogis! Both the core and back need to be worked and strengthened to create balance in the body. In this class we focus on strength throughout the body so we can build endurance and stability to work towards those demanding poses like inversions and arm balances. If you are an inversion junkie or interested in building up strength to practice going upside down this is the class for you! This is a dynamic flow offering lots of playtime to work on your arm balance and inversion practice. Our focus is on strengthening the abdomen and its surrounding muscles to first get our alignment right before heading for takeoff! Buckle up, everyone! Change direction and change your mind while staying centered through a strong vinyasa flow. Crack open your heart chakra to uncover the truth in your flow. In this class we work through a strong vinyasa sequence with an open heart so you can really see where you are in your practice today. By tuning into the body and mind, your practice will reveal the areas in your life that need to be focused on so we can ultimately find contentment; even if just for a moment. That moment is just the beginning! Fly high and get out of your comfort zone by pushing your own limits! It's not about the destination, so just have fun and stay centered along the way as we open the hips, shoulders, and hamstrings and fire up the core, hone the focus with balance poses, and maybe have some laughs, too!